Are you ready to join us for our annual Car Treasure Hunt? 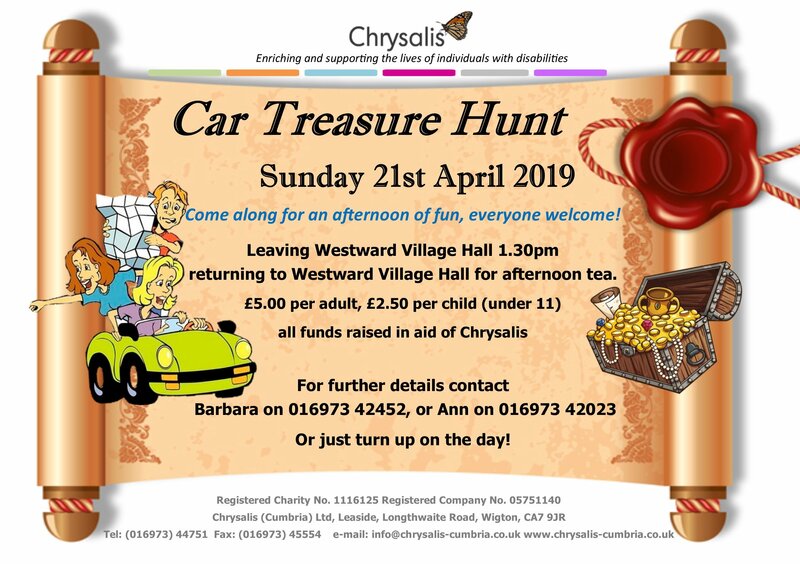 Come along on Sunday 21st April, cars will be leaving Westward village Hall from 1.30 pm setting of on their adventure to fund the treasure! Follow the clues around the countryside and these will bring you back to Westward village Hall for your Easter Tea with lots of sandwiches and cakes to help you refuel. The fun does not end there… a quiz and raffle with lots of prizes ends a great fun packed afternoon. So with something for everyone, old and young, you will have a fabulous time, come and join in the fun.